When the interior of your shoes wears out before the exterior, extend the life of the shoes by replacing the insole. Another benefit to replacing an insole is that it will ensure maximum comfort, since the cushioning of an insole plays a key role in how comfortable a shoe feels. Wearing shoes with a new insole can be especially important for athletes, whose feet can take a pounding. In addition, replacing insoles often can combat the foul odor associated with well-worn shoes. Remove the old insole from each shoe. Insoles typically aren't glued to the bottom of a shoe, so they should come out easily. Use care to not rip the insole as you remove it. Bring the old insoles to use as a guide for a new pair when you purchase them. 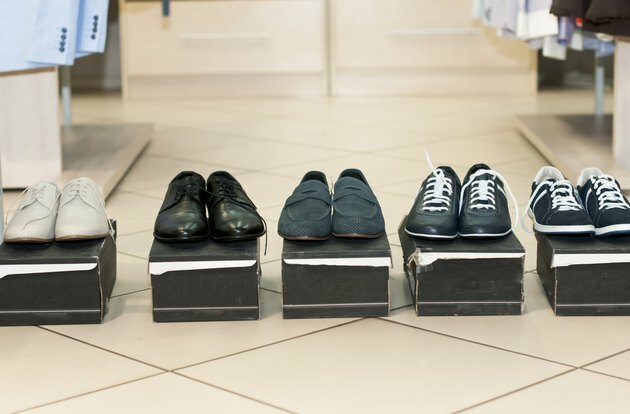 You can purchase new insoles based on the shoe size, but shoe sizes can vary slightly by brand and style of shoe. Research the kind of insole you want, based on how the shoes will be used or the level of cushioning desired. Some insoles provide more cushioning at the heel for users who apply more weight to that area, while other types provide extra cushioning at the balls of the feet or the arch. Insoles also are available with various levels of flexibility, from highly flexible to rigid. Slide the new insole into the shoe, toe first. Place your hand inside the shoe to adjust the insole so it is seated properly in the toe area. Push down on the insole's heel area so it is fully seated in the shoe. Trim the insoles if they do not seat properly in the toe or heel area. The new insole should sit flat against the bottom of the shoe. Use the old insole as a guide if trimming is necessary by placing it on top of the new insole and trimming excess areas. Adding an additional store-bought insole placed on top of the original shoe insole can add extra cushioning to a shoe. Be careful that the extra cushioning does not make the shoe fit too tightly.